Also translated this a while back but forgot to post it. 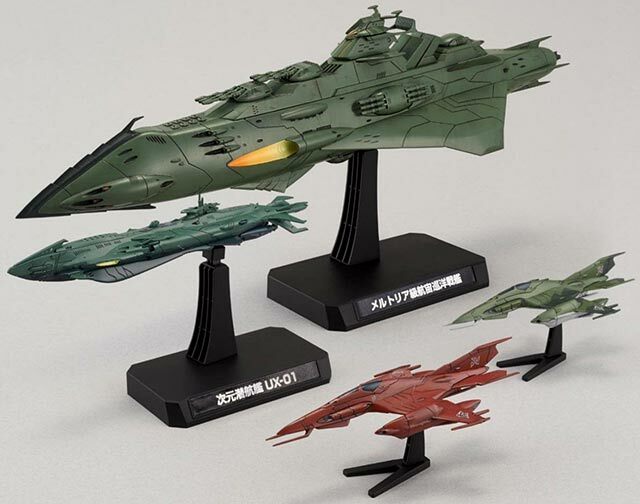 It's the 1/1000 Garmillas Warships Set 3 from the rebooted Yamato 2199 anime series. Wasn't able to watch this series but I was a fan of the original. When I say "original" I mean the "Star Blazers" branded one that was dubbed in English. It was those earlier anime series like that that set me on this course of being a fan of Japanese animation. The 1/100 Gamillas Warships Set 3 is selling for $ at Amazon. Construction Manual & Color Guide for the 1/1000 Gamillas Warships Set 3 was translated to English from the Japanese manual posted at Dalong's Gunpla & Model Kit Review site.